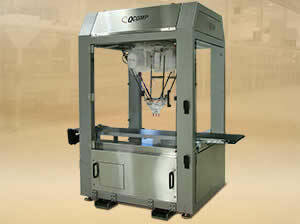 QCOMP'S ROBOTIC PACKAGING SYSTEMS are designed for high production speeds and variations in product size, shape and material. 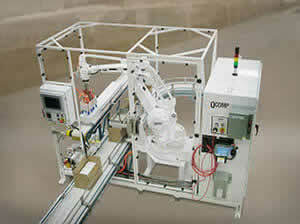 QComp has developed a standard robotic case packer design that will help you minimize the extensive changeover time typically required for variations in production. 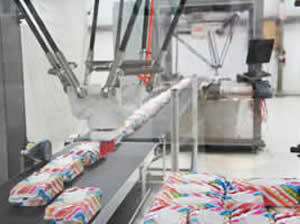 Because it is robotic, changes in product patterns are easily made within the robot program. Tool changes are fast and easy. 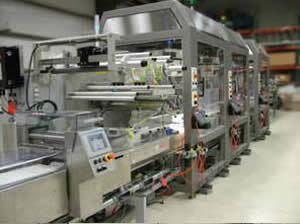 In addition, the entire cell is modular and portable to accommodate changes in conveyor line configurations. 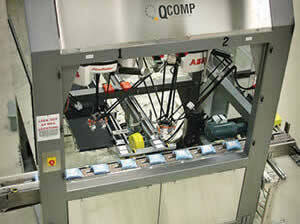 QComp Technologies advanced Robotic Picking Systems feature vision guided robotics using the ABB PickMaster and ABB FlexPicker for picks up to three per second. Our robot lab has complete testing capability for proving robotic picking and placing project concepts at the proposal stage. 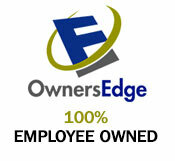 We have made extensive investments in not only hardware but also people. 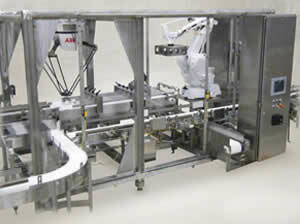 Our staff of engineers have broad picking and placing robot experience. 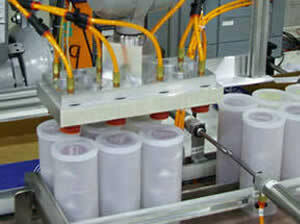 The high speed Lid Applicator maximizes the throughput of your lidding application. The cell features the flexible delta style robot. We understand your lower speed requirements and budget constraints, so we've engineered a small footprint cartoning or tray filling cell.